Are Head Tilt and Headaches Connected? You walk to a coffee shop, airport, airplane, train or even down the street in New Port Richey or anywhere in the world and see this group of people working on their laptops. It’s evident that these people’s necks are affected in some way due to prolonged craning, but does that effect on the neck contribute to headaches? So, to confirm if there is any significant difference between head tilt and forward head position, especially during laptop use, a study was conducted in 2016. And it focused on comparing females with posture-induced headaches versus healthy females with the same age as control subjects. The researchers got the measurements of angles for maximum head protraction i.e. chin poking forwards, forward head position at neutral resting (baseline), head tilt, as well as while using a laptop. In other words, they measured the angles of how slumped a participant was while at rest versus while using a laptop. They later on released their findings that state that headache group showed an increased head protraction of 22.3-percent in comparison to the control group who were at rest. The research team also compared the ratio of forward head position when someone is at rest to the maximum head protraction, and they noted a significant difference, which according to them, was worse among females in the headache group. And the same was also worse in the head position of laptop users. In their conclusion, they noted that those who were in the headache group demonstrated worse posture while at rest in the two measurements. Moreover, the headache group showed more forward posture while using a laptop compared to the control group. Basing their statements on these findings, the research team advised health practitioners from all over the world, including New Port Richey, to include restraining exercises when offering therapy for patients with headaches and/or neck pain. By so doing this, the practitioners will help patients obtain long-term successful results. This study not only illustrates the importance of that but also goes an extra mile to recommend for such exercises as deep neck flexor muscle strengthening, conscious head re-positioning, chin-retractions, cervical traction (but not in all cases), and managing scapular stability, among others. Look at a person from the side and picture a perpendicular line that traverses the ear canal should also traverse the ankle, shoulder, and hip. Well, if your head posture is inclined forward, then that line will pass forwards of the aforementioned hip, ankle, and shoulder. According to the previous research, the weight of everyone’s head is averagely 12 pounds/5.44kgs. So, for every inch that we position our head forwards, we burden our necks and upper back muscles by an extra 10 pounds/4.53kgs of weight. The neck and back muscles, of course, would want to keep the head upright and that’s where this burden comes in. If in a 1-inch forward head positioning we burden the neck and upper back muscles with 10 pounds/4.53kgs, it means we add 50 pounds/22.67kgs of load to the neck and upper back muscles if we position our head forwards up to 5 inches. And that’s how poor posture causes headaches and chronic neck pain. Fortunately, that is not the end of the story. 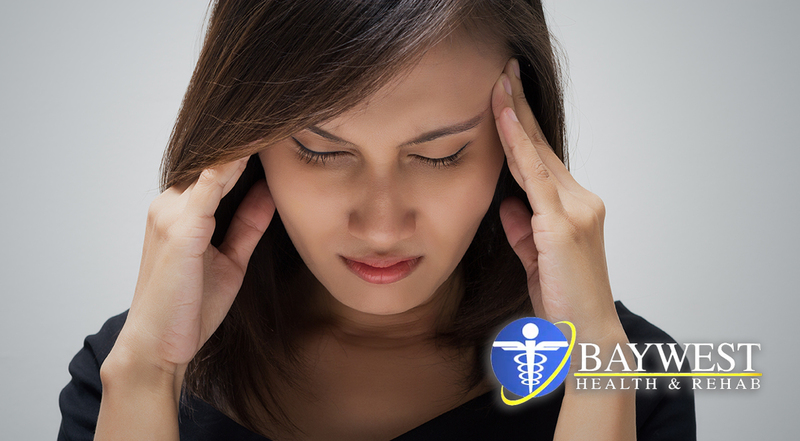 Rather than complaining of neck pain and headaches, you may as well visit a chiropractic doctor who in most cases will offer spinal joint manipulation; a patient-satisfying, fast remedy for headaches and neck pain. Ideally, it is commendable to combine chiropractic manipulation with exercise training, as studies show that the two when used together lead to long-term benefits/outcomes. And it has worked for most people like patients in New Port Richey.